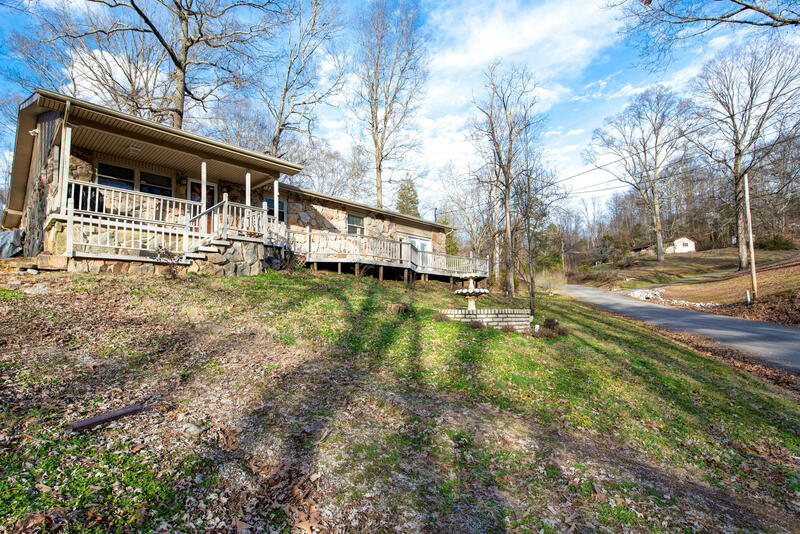 Come see this beautiful ranch home, nestled in the mountains! Large corner lot with quiet surroundings. The outside is covered in beautiful stone with a wrap around front deck. Extra large bonus room and updated kitchen. A storage building is located behind the home, perfect for all your outside lawn equipment. Located in the county, but close to everything. The Little Ponderosa Zoo is only 5 minutes away. Windrock Park is only 20 minutes away. 72,000 acres of camping and 4 wheeling! Call for a showing today!